One Path For Me: Speedy Ortiz - "Ka-Pro!" 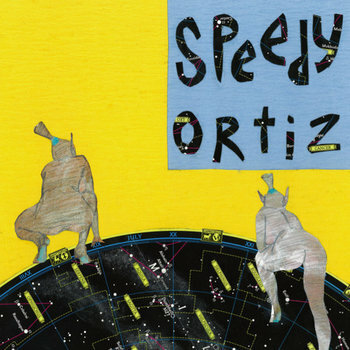 b/w "Hexxy"
Speedy Ortiz - "Ka-Pro!" b/w "Hexxy"
If you picture what would happen if Laura Stevenson and Dinosaur Jr. were playing at the same time then Speedy Ortiz would probably look a lot like that. I reference the Stevenson influence for the wonderful and strong melodies that are belted out by the female main vocal. The Dinosaur reference comes from the overblown distorted madness that follows. This may sound strange, but take a listen to it before you judge. Things actually pan out very well and the first track shows how this band can really pull off such a distinct sound without sounding like they are trying to make pieces fit where they don't. The second track keeps in the same vein, though, perhaps adding a little bit of a Sleater Kinney feel, in which the blown out distortion seems a little bit more on the leash.